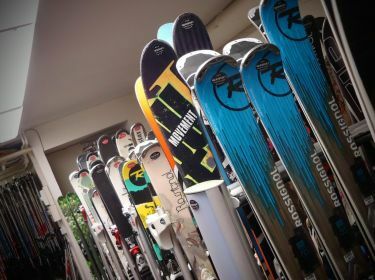 Tignes Val Claret ski rental with Newsport skishop (ex Skimium). By booking online, you can win up to 60% discount on your ski and snowboard hire. The new shop NEWSPORT in Tignes Val Claret would like to welcome you. By booking online, you can win up to 60% discount on your ski and snowboard hire. You will find Philippe, ESF Tignes Val Claret ski instructor with his new team to advise you in your choice of technical equipment with passion and professionalism. This year, the shop has been completely refurbished ! The Newsport shop is In the center of Val Claret, Sherpa supermarket Side.